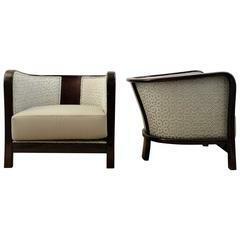 Pair of Italian armchair, new 'Meringue' upholstery by P.Frey. 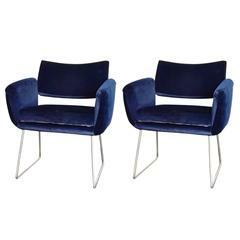 Pair of Scandinavian solid wood armchairs. 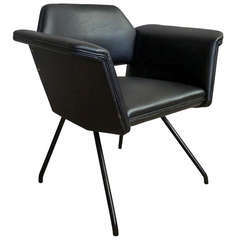 Pair of beautifully &quot;re-upholstered&quot; armchairs by Vittorio Valabrega. 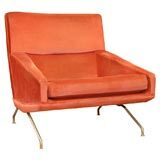 Pair of chairs model 31 in birchwood by Alvar Aalto, Finland, circa 1930s.